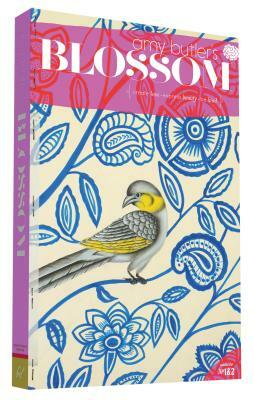 Amy Butler's Blossom magazine is a biannual collection of everything that inspires her: page after page of photographs from her travels to spiritual locales such as Morocco and Sedona; meditative articles from like-minded designers, artists, and life coaches; the signature designs and textiles that she creates from these inspirations; plus her ongoing exploration of positive and joyful living. Now available in print for the first time, this irresistible look-book compiles the first two issues of the magazine. Brimming with photographs, fashion, art, patterns, and written pieces that reflect Amy's unique philosophy of life and style, Blossom will capture the imagination of anyone in search of beauty and meaning.